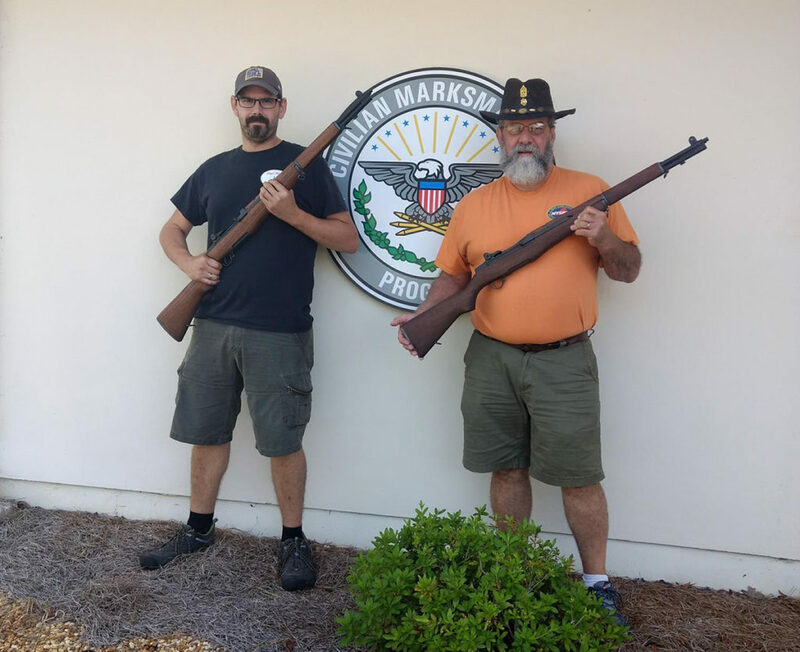 The Civilian Marksmanship Program’s (CMP) Advanced Maintenance Clinics will return in 2019 for those firearm enthusiasts interested in assembling his or her own vintage rifle with the help of hands-on, knowledgeable instructors. 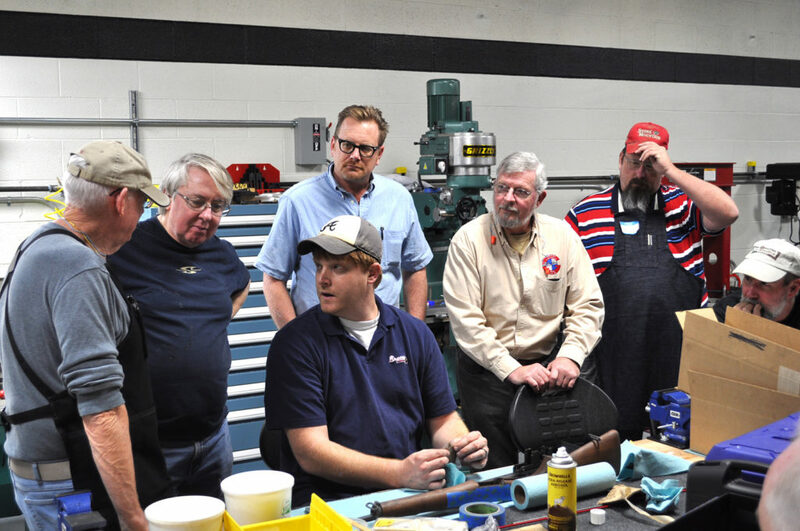 The Advanced Maintenance Class (AMC) is a three-day course led by the qualified CMP Custom Shop staff members at the office in Anniston, Ala. Designed for those who wish to take their passion for the timeless M1 Garand to the next level, the AMC offers students a unique opportunity to receive unparalleled training from our Custom Shop staff. 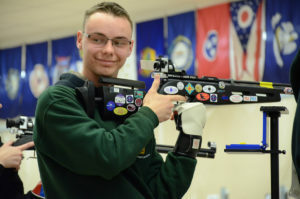 Topics such as head space, barrel installation, component purpose/function, general rifle assembly, rifle/component maintenance and various accuracy techniques will be covered. A classroom session, including instructional videos and a detailed visual presentation, will be accompanied by enlightening discussion and lecture from the Custom Shop Staff. In conjunction with the classroom sessions, students will also receive active instruction and individualized assistance. Participants will be exposed to all information required to safely assemble and successfully fire his or her own complete rifle, under the direct supervision of our expert gunsmiths. 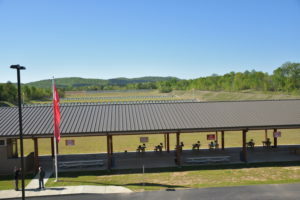 Students will also receive an exclusive visit to Talladega Marksmanship Park on the third day for a chance to view the grounds and fire their personally crafted rifles from class. Each student signed up for the class will have an option of purchasing and constructing either a Field Grade Special or a CMP Special rifles. 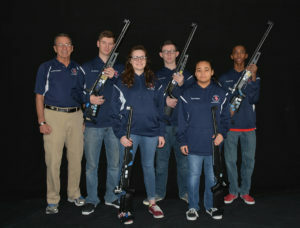 Class fees vary, based on rifle purchase. 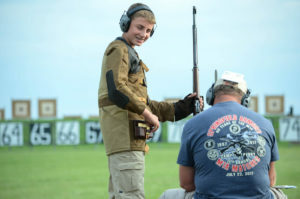 Special Buddy Classes allow pairs to sign up together to create their own rifles and lasting memories. Six “Buddy Class” dates are also reserved for applicants wishing to attend with a designated partner of their choosing. Classes are limited to only 20 students, and all sessions are often promptly wait-listed, so don’t hesitate to sign up! Registration will begin Nov. 7, and will continue until Nov. 23. 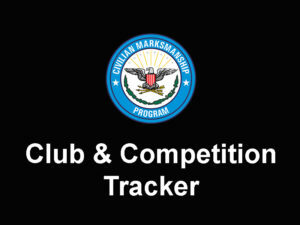 Individuals may register through the CMP’s Competition Tracker page at https://ct.thecmp.org/app/v1/index.php?do=match&task=edit&match=17570. 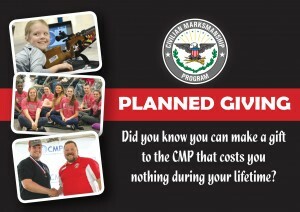 Due to popularity, a Registration Lottery will be used to randomly select participants for the classes.Registration for the lottery will open on the CMP website (http://thecmp.org/training-tech/advanced-maintenance-class/) on the morning of Nov. 7 and will remain open until Nov. 23, 2018. Registering for multiple classes is permitted, but no applicant will be selected for more than one slot. Because of the overwhelming popularity of the class and the CMP’s attempt to give all interested persons the chance to participate, no former AMC participants may register for the 2019 sessions. CMP Custom Shop Supervisor Chris Hord with students during the Advanced Maintenance Clinic. Registrants will become part of an electronic lottery used to randomly assign the 20 available seats for each class date. An additional 20 participants will be assigned to a stand-by list for each date. These stand by lists have been established due to a historically high cancellation rate and will be utilized to fill classes as cancellations occur. A confirmation email will be sent to each accepted participant, which will include a hidden link to the CMP eStore that will be used to complete the registration process. The class must be purchased on the eStore through the sent link by Jan. 15, 2019. Failure to meet this deadline will result in forfeiture of your slot to the next applicant on a wait list. NO EMAIL will be sent to students who are not selected for either a class or waitlist. Total cost for the 2019 AMC will be $1,868.50 or $2,068.50, depending upon rifle selection (Field Grade or CMP Special). The $1018.50 course tuition fee will be billed immediately after purchasing the course from the eStore (with $150 of your class tuition fee considered as a nonrefundable “registration fee”). Late cancellations, made within 30 days of the class start date, will be subject to forfeiture of an additional $300. Deadline for class payment will be Jan. 15, 2019. 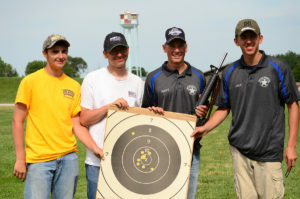 Students will build and purchase eithera CMP Special Rifle or a CMP Field Grade Special during the three-day course. The receiver will be of USGI manufacture and may vary dependent upon availability. The cost of the rifle is $850 for a Field Grade Special, or $1,050 for a CMP Special. Sales tax will be applicable to all rifle purchases. This portion of the fee will be billed on Day 2 of class. Only participants presenting proof of flight arrangements will be permitted to ship rifles. All driving participants must take all purchases with them. For any questions regarding the 2019 AMC or online registration questions, please contact Jeremy Coppock in the Custom Shop. 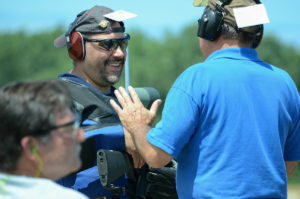 More info on the Advanced Maintenance Class page can be found on the CMP website at http://thecmp.org/training-tech/advanced-maintenance-class/. Will these classes ever be held closer to the west coast? The Advanced Maintenance Class is only held at our CMP Custom Shop in Anniston, AL. 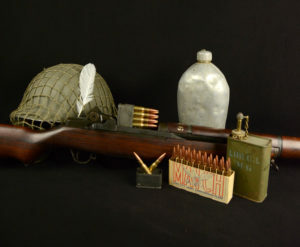 You are building your own M1 Garand. We do not have any plans to take this class on the road at this time. Yes, we have several area hotels - see our website at http://thecmp.org/competitions/cmp-national-matches/area-lodging-links/area-lodging-links-al/. For more information on the AMC, contact Jeremy Coppock, Custom Shop Relations Specialist, at [email protected] or (256) 835-8455, ext. 513. 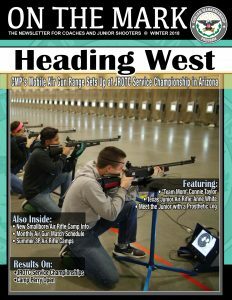 The $1018.50 course tuition fee and the rifle fee ($850 for a Field Grade Special, or $1,050 for a CMP Special) plus tax/shipping. No, we only build .30-06 M1 Garands during the AMC. When will the confirmation emails be sent out? Our Custom Shop has the information and will try to get out the notices this week. When will the lottery be conducted? I understand that you will send an email to those selected but a lack of email could mean that you’re not selected or the lottery hasn’t been held yet. What is the difference between the Field Grade Special and the CMP Special rifles? Will both be offered during the class? I have been selected for the May 17, 18, 19 class. 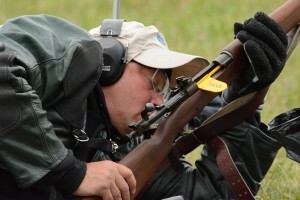 James, see our rifle grade descriptions on our website at http://thecmp.org/cmp_sales/rifle_sales/m1-garand/.